Nokia India has today officially announced at its Nokia Strategy Summit back in Chennai that the high-end Nokia Lumia 900 and the low-mid range Lumia 610 would be launching in the sub-continent in the Q3 2012 (July-September). 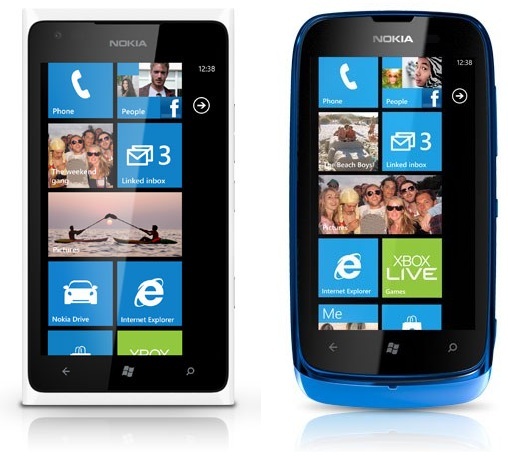 This has indeed come as good news for the Nokia Fans who have been waiting eagerly to own a beautiful 4.3 inch Nokia Lumia 900 which is the bigger brother of the Nokia Lumia 800. Also all the Nokia fans who wish to buy a lower-mid range Windows Phone smartphone could start saving for the Nokia Lumia 610 which will arrive during the same Q3 2012 with the Lumia 900. The Windows Phone Refresh running Nokia Lumia 900 brings in a large 4.3 inch screen with ClearBlack display; is powered by a 1.4 GHz processor coupled with 512 MB of RAM. There is an 8 MP Camera with LED Flash at the rear of the device, 1.3 MP front camera and 16 GB of internal memory for all your storage needs. The device is powered by an 1830 mAh battery. Whereas the Nokia Lumia 610 which also runs on Windows Phone Refresh OS which is optimised to run device with RAM as low as 256 MB arrives with a 3.7 inch LCD display with 800 x 480 pixels resolution, powered by a 800 MHz processor with 256 MB Ram, 8 GB of internal memory, 5 MP camera at the rear, Wi-Fi, Bluetooth, HSUPA and HSPDA connectivity, microUSB and with a moderate 1300 mAh battery. Nokia India has not revealed any information on the pricing of both the device so we will still have to wait for a month or more before we get to know more on the pricing of the devices.